Not only does Instagram limit your Stories to 15 seconds each, it also prevents you from using videos older than 24 hours or landscape videos without being cropped automatically. Hungarian iOS developer Máté Kovács’s cool app helps overcome those limitations. 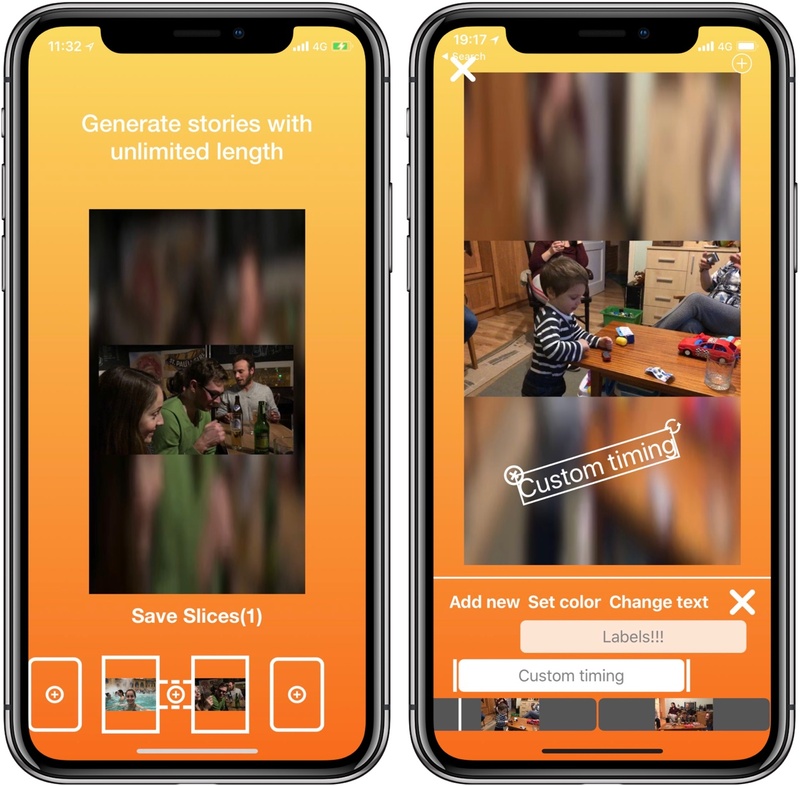 Called Infinite Stories, it’s a simple video editor for iPhone and iPad that lets you edit your videos to ultimately create Stories for Instagram and Facebook longer than 15 seconds. You can speed up or slow down your video (or a specific part of it) or place the clip in the middle of the screen by choosing the no-crop option. The app’s a hack because Instagram doesn’t really support generating longer Stories than 15 seconds. What Infinite Stories does is crop a long video into 15-second segments that can be published to a Story from left to right. When someone views such a Story, Instagram and Facebook make it look like one Story but in reality it’s comprised of multiple 15-second segments. Again, this app doesn’t let you create Stories of unlimited length. By splitting a long video into 15-second pieces with transitions, it creates the illusion of a seemingly continuous video. In addition to videos, Infinite Stores lets you add non-cropped photos and resize them. You can even use animated labels, which is a pretty great way to add titles to your landscape videos. The background can be set to a blurred video, a custom gradient or a solid color, allowing for some nice visual effects. 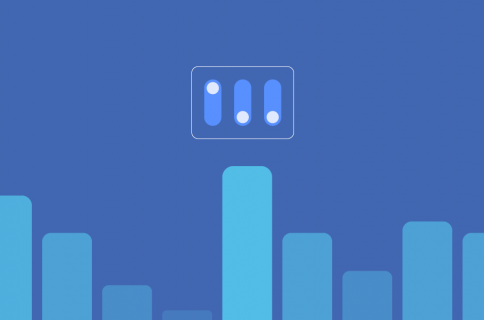 Silent Stories aren’t very engaging so good thing Infinite Stories supports adding music to your videos. With your creation finished, the app converts the videos into the Story format that can be easily pushed to Instagram or Facebook. Instagram does not yet permit third-party apps to post content to its servers so you’ll have to do this manually. With a tap of a button, Infinite Stories can open Instagram and send your generated videos there, ready to be posted in a Story from left to right. This isn’t the first time we saw such a trick. An app I reviewed a while ago, called Panols, splits a panoramic photo taken with your iPhone into multiple separate shots that fit Instagram’s swipeable multi-item view. Infinite Stories isn’t just for regular Instagram users. 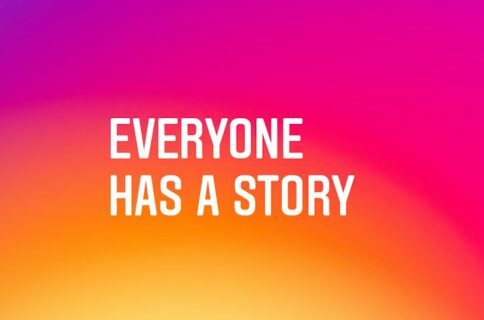 Brands, companies and just about anyone looking into using Stories for marketing purposes should give it a whirl, especially given Instagram’s rather spartan, limited options that don’t make it any easier to create engaging Stories with transitions, music and more. Even if you don’t use the Stories format at all, you’re advised to check out Infinite Stories as a lightweight way to compile vertical videos. Infinite Stories is free to download and use, with a one-time $8.99 purchase to unlock all of the advanced features, such as watermark removal, the ability to save your edited slices and more. Grab Infinite Stories for free on App Store. For a simpler way to post videos longer than 15 seconds to your Instagram story, check out the free Long Story.